The New Colorado Prescription Drug Monitoring Program – is going to make it more difficult to both defend and to commit prescription fraud in the state of Colorado. This article explains the use of this new technology and examines it’s impact on the investigation and prosecution of so called “script fraud” case. Under the new law – Colorado pharmacist have steadily been uploading information into a new state database called the Prescription Drug Monitoring Program. The concept behind the database is intended to stop so called “doctor-shopping” by alleged drug abusers who seek to obtain multiple prescriptions from different sources. Called the Prescription Drug Monitoring Program – the database permits doctors and pharmacists to research what their present or future patients have been prescribed.. but more importantly – to see if the patients have been “doctor shopping” or visiting different doctors to obtain the same or similar controlled substances. The Colorado Prescription Drug Monitoring Program includes a patient’s name, the source of the prescription (the doctor who prescribed it)- the dispensing pharmacy and other data regarding the number of “scripts” – locations of the scripts etc. · Resident Physicians with Training Licenses. The PDMP provides a private and secure database of controlled substance prescriptions that have been dispensed by registered Colorado pharmacies. 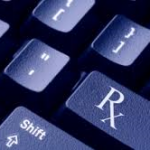 The purpose of the creation of the database was to provide objective information to assist prescribers and pharmacists in providing the right treatment for their patients. The database is accessible online….and patients can receive their own personal PDMP data by submitting a written request form. Those in Law Enforcement officials may submit requests to receive PDMP data, via the forms available in the “Law Enforcement” tab…. but as noted below A COURT ORDER or SUBPOENA is required. Colorado DORA – and other Regulatory Boards within the Division of Professions and Occupations or the Director of the Division of Professions and Occupations can also obtain prescriber data.. But because these are MEDICAL RECORDS AND ARE PRIVATE – a court order or subpoena is required to access the data. According to statistics – the majority of the so called “abusers” are employed (70%) and are white (80%). A Denver Post examination of the new system – and my own experience – has demonstrated the devastation of charges to a person’s career…especially if that career is in health care. Losing a good paying job – friends – the support of family and risking a permanent criminal history – is just part of the collateral and direct impacts of these cases. What Are The Primary Types of Prescription Fraud? Prescription drug fraud takes many forms. The focus of law enforcement usually is on the forging or altering of a valid a prescription, doctor shopping, phoning in fraudulent prescriptions posing as a doctor’s office employee or the theft and us of prescription pads. Forging prescriptions in Colorado. Because of the ease of high-quality copying equipment forging prescriptions has become cheaper and much easier. Creative offenders go so far as to “paint glue” on the top edge of a so called prescription to make it seem as if it was ripped from a pad. Altering prescriptions in Colorado. The most prevalent attempt to obtain prescription drugs is to alter a legitimate prescription by either changing the type of drug, increasing the number of refills, increasing the quantity, or even adding drugs to the presecription. In Colorado Vicodin and Darvocet are the most commonly abused prescription drug. With a consistent support of state money to fund the database – it appears as if it is a permanent part of the future for Colorado. Across the country – the most commonly misused prescription drugs are opioid pain relievers, such as hydrocodone and oxycodone. Police investigations focus on Vicodin® (hydrocodone), OxyContin® (oxycodone), Lorcet®, Dilaudid®, Percocet®, Soma®, Darvocet®, and morphine. Young people prefer such controlled substances such as codeine, methadone, Demerol® (meperidine), Percocet, Vicodin, and OxyContin. While the law does not mandate reporting abuses to law enforcement – it is clear that the database will be used as a source for proving criminal cases. 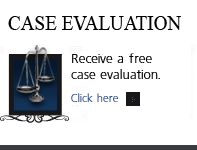 The database is easily accessible through the use of a court order or a subpoena from the district attorney in the course of an investigation. 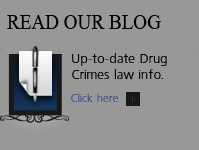 While the database is not usually the source of the initiation of an investigation – it provides evidence that can be used in the investigation and prosecution of Colorado prescription fraud cases. According to the Denver Post investigation – at present – “doctors and pharmacies in Colorado check the state’s prescription drug monitoring database only 10 to 15 percent of the time before dispensing opioids” this is according to the Drug Enforcement Administration (DEA). Because use of the database is option – not mandatory – doctors – and pharmacists do not make checking the database part of their routine… not with the volume of prescriptions that are dispensed daily in Colorado. It is only when suspicions are raised by certain patterns of patients – that pharmacists and doctors are more likely to check the database. Known as “red flagging” – if you are suspected of script fraud – your name will be flagged in the database by those having access to it. At that point – obtaining multiple prescriptions will be much more difficult. Colorado Revised Statutes – 18-18-414. Unlawful acts–licenses—penalties. (f) Any other data elements necessary to determine whether a patient is visiting multiple practitioners or pharmacies, or both, to receive the same or similar medication. (2) Each practitioner and each dispensing pharmacy shall disclose to a patient receiving a controlled substance that his or her identifying prescription information will be entered into the program database and may be accessed for limited purposes by specified individuals. (3) The board shall establish a method and format for prescription drug outlets to convey the necessary information to the board or its designee. The method must not require more than a one-time entry of data per patient per prescription by a prescription drug outlet. (4) The division may contract with any individual or public or private agency or organization in carrying out the data collection and processing duties required by this part 4. (1) The board shall operate and maintain the program. (2) The board shall adopt all rules necessary to implement the program. (h) A resident physician with an active physician training license issued by the Colorado medical board pursuant to section 12-36-122 and under the supervision of a licensed physician. (4) The board shall not charge a practitioner or pharmacy who transmits data in compliance with the operation and maintenance of the program a fee for the transmission of the data. (5) The board, pursuant to a written agreement that ensures compliance with this part 4, may provide data to qualified personnel of a public or private entity for the purpose of bona fide research or education so long as the data does not identify a recipient of a practitioner who prescribed, or a prescription drug outlet that dispensed, a prescription drug. (6) The board shall provide a means of sharing information about individuals whose information is recorded in the program with out-of-state health care practitioners and law enforcement officials that meet the requirements of paragraph (b), (c), or (e) of subsection (3) of this section. 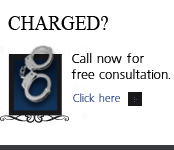 H. Michael Steinberg, is a Denver, Colorado criminal defense lawyer who will provide you with a free initial case consultation to evaluate your legal issues and answer your questions with an honest assessment of your options as regards The New Colorado Prescription Drug Monitoring Program.